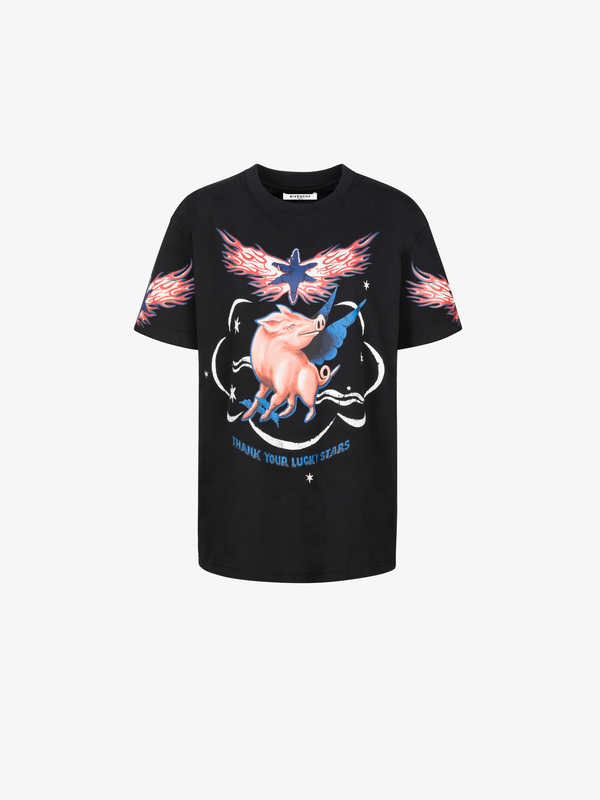 Black t-shirt with zodiac pig sign print and star flame on the front. Round collar and star flame print on the sleeves. 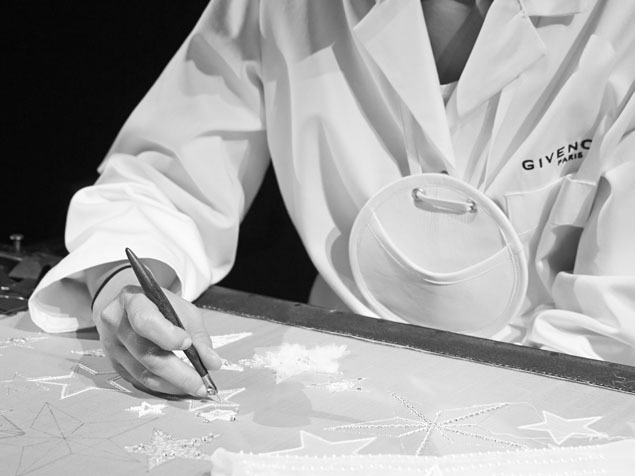 Givenchy star flame on the back.